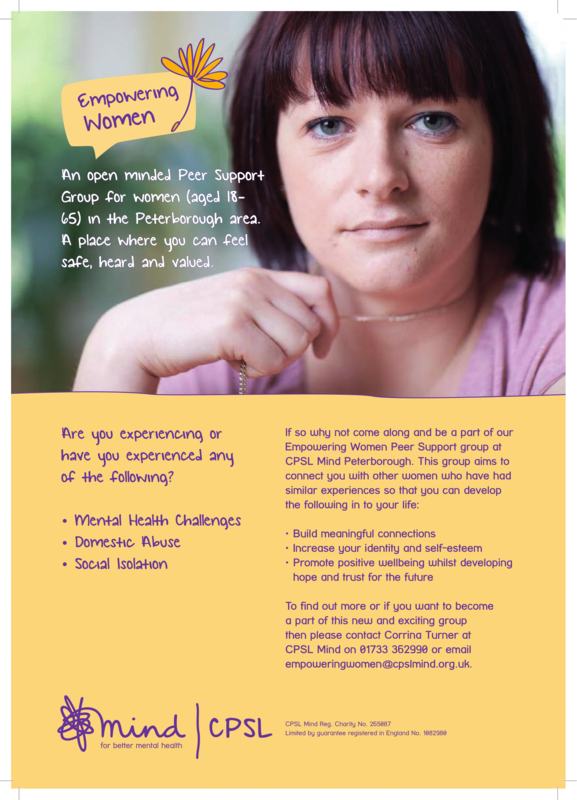 CPSL MIND are really excited to announce that we will be offering a new peer support group in Peterborough called Empowering Women. The aim of this group is to reduce social isolation, promote positive wellbeing and enable women to develop trust and hope for the future whilst empowering women to make positive changes in their lives. To make a referral to this group please send a completed referral form (download the referral form here) to empoweringwomen@cpslmind.org.uk .